Infotronix has taken to Kickstarter this month to raise the $75,000 they require to take their new Great factory management system or BMS into production. The BMS has been created to provide users with a reliable, safe and modular BMS system that comprises of a whammy grade components to provide maximum flexibility and functionality. Implementation of an accurate, capable and robust battery management system (BMS) can be challenging for corporate engineering teams let alone enthusiasts looking to build their own energy storage system. However, BMS functions are critical to proper and safe use of the Li-Ion cells being deployed in today’s advanced battery packs. 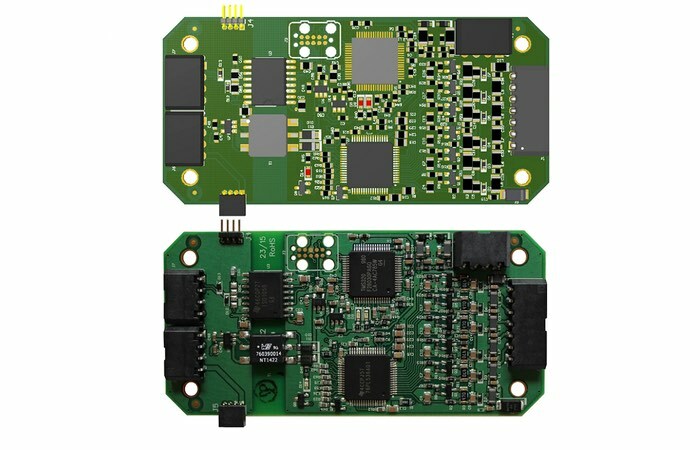 The team of engineers behind this campaign leveraged over 30 years of electrical engineering and embedded systems product development experience to derive the components and a system which will break down the BMS barriers most makers, researchers and pack manufacturers continue to face; even as market leaders such as Tesla deploy record numbers of high cell count packs across the globe. Accurate, robust sampling and monitoring of cell voltages and module temperatures and the ability to balance/equalize cell energy across the pack are the three most important functions of all BMSs. There are many different ways to accomplish this, both in terms of component design and system architecture and functional distribution. The campaign BMS components were designed, selected and combined into a system in accordance with the same industry best practices and approaches adopted by major OEMs. For more information on the new BMS by Infotronix jump over to the Kickstarter crowdfunding website via the link below.